Looking for an alternative to the humble G&T? 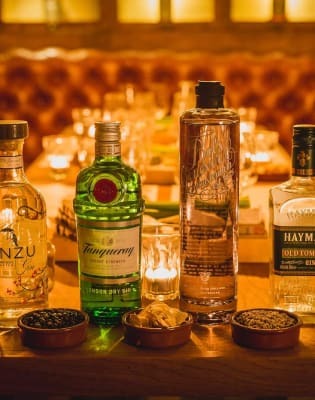 Come try our dedicated gin cocktail making class in Shoreditch London to learn how! Looking for an alternative to the humble G&T? Come try our dedicated gin cocktail making class in Shoreditch London to learn how to make it yourself. 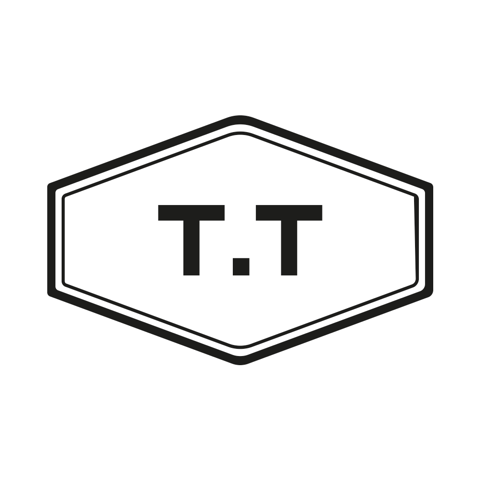 Our hosts, TT Liquor, are the best in the business and will make sure that you leave knowing how to make the perfect Gimlets and Tom Collins! In this amazing masterclass you'll learn all about Gin, a quintessentially English spirit, and then go on to explore the evolution of the gin cocktail over time. You will learn everything from its close associations with Her Majesty's Naval Service to its prominence in the classy gin bars of the golden era in London and New York. This gin cocktail masterclass is fully hands-on and every guest uses a variety of fine gins, fresh ingredients and specialist equipment to make your own cocktails. Even more fun is that you get your own area behind one of our custom-built cocktail bars, you can really be a mixologist for an evening! Reception Cocktail - before you get started, enjoy a complimentary classic gin cocktail, just to get the tastebuds going! Introduction of Cocktail Class - this is where you will get to explore the evolution of the gin cocktail, from gin's origins right through to today! Make 4 Cocktails - with the aid of your expert tutor, you will make four timeless gin cocktails. Mocktail (non-alcoholic) versions of each cocktail are available for non-drinkers. Cocktail Making Competition - then, to the main event, you get to go head to head with the other participants and use the knowledge you've learnt to fashion your own gin masterpiece. 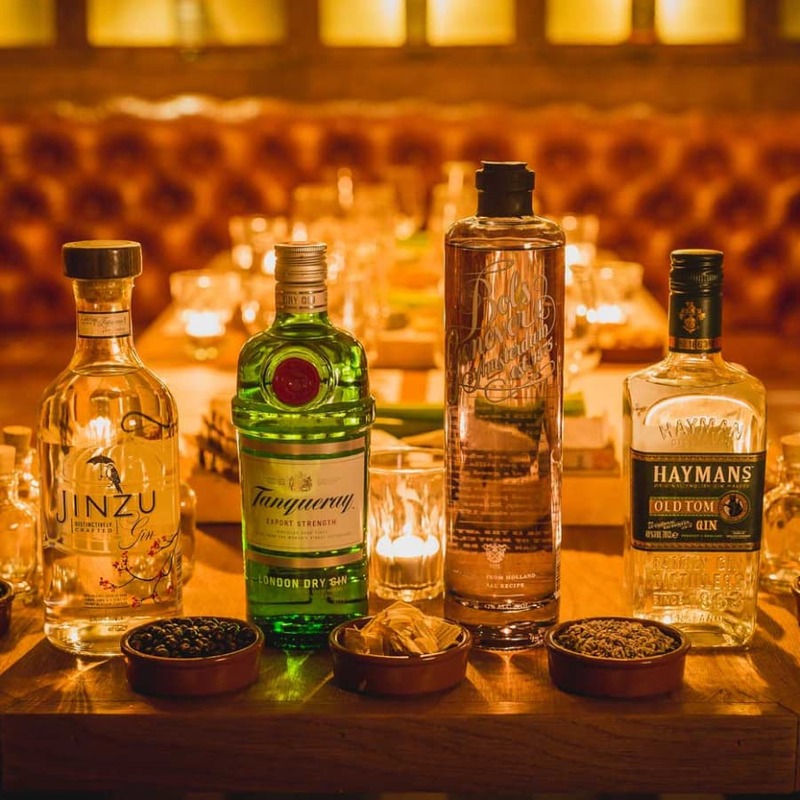 Learn all about the history of gin and wow your friends with your knowledge! There are more classic cocktails made with gin than with any other spirit. Negroni, Ramos Gin Fizz, Martinez, Gin Rickey, Red Snapper, Tom Collins, White Lady, Hanky Panky, Clover Club, Alexander, French 75, Gimlet, Vesper, Singapore Sling, Silver Bronx, Pegu Club, Bee's Knees, Southside. And that is just scratching the surface!